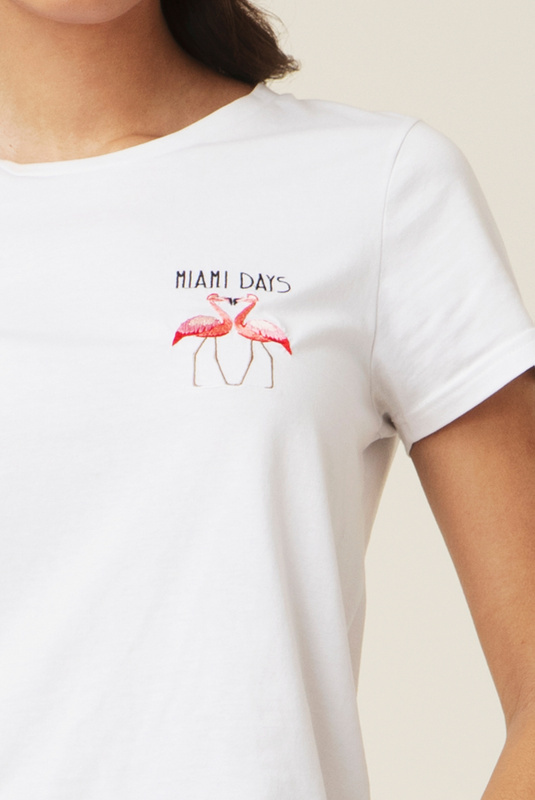 Flamingo tee is a white solid t-shirt with a fun Flamingo embroidery on left side of the chest. 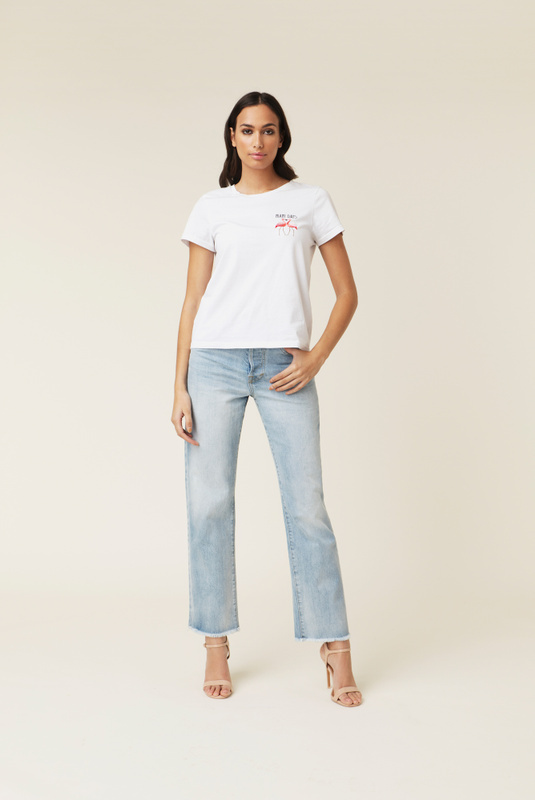 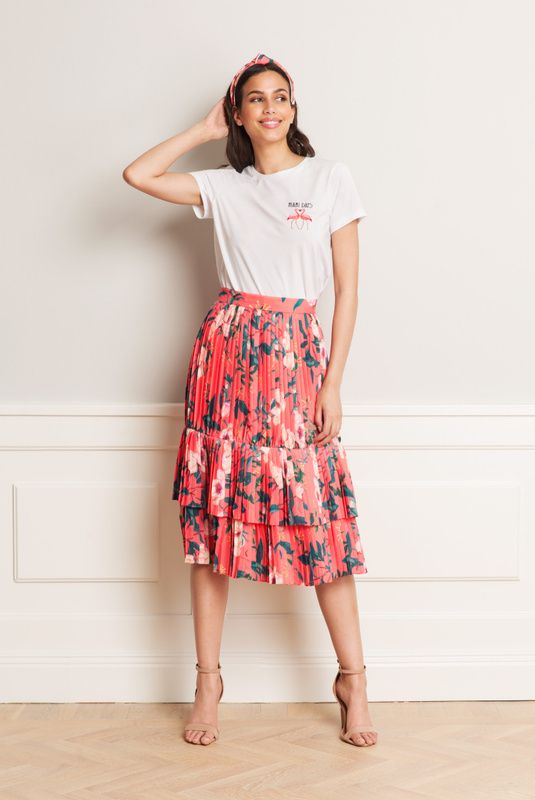 The Miami inspired print makes the whole look and feel to a basic t-shirt. 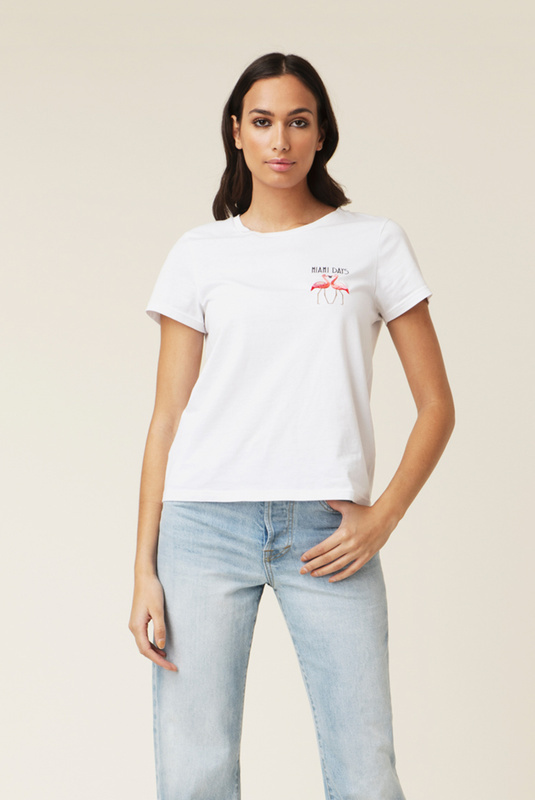 We love the color this witty tee gives us.